Every treatment has aesthetic aspects, the dental fillings, crowns, frames, dentures, implants, pictures, frames etc. However, a cosmetic dentist spends a lot of time on aesthetics and it is one of the main goals of the treatment. Cosmetic is derived from the Greek word ‘cosmos’ and means universe, order, harmony. 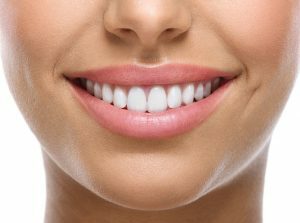 Cosmetic dentistry is about offering these elements and feelings of beauty in such a way that it seems as if they have always been part of one’s life; creating harmony… It promotes the natural beauty of mouth and face. This concept does not imply a superficial improvement, but specifically an improved proportion. Aesthetic dentistry is an ‘art form’ that gives us a youthful, attractive and beautiful smile, something that can only be achieved through a combination of insight, talent and artistic flair, in which a clear picture of the patient’s wishes is indispensable. Prosthetics includes everything to do with replacing the original teeth. This includes crowns, bridges, partial and complete dentures. A removable prosthesis (dentures) is one of the most commonly used solutions for replacing missing teeth. Prostheses can be applied in the absence of a number of teeth; a partial denture, or in the absence of all teeth; a complete denture. The quality and appearance of prostheses today are much better than they used to be. Often it is hardly noticeable when someone wears a prosthesis. For strength, a prosthesis can be made on implants, the so-called all-on-4.